﻿ Would you bet on Ronaldo's 7-year-old son to become the next football star? 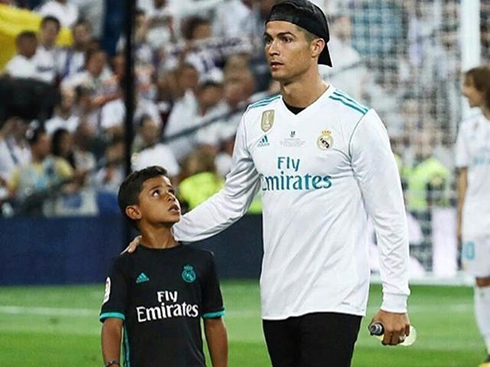 22.12.2017 » Would you bet on Ronaldo's 7-year-old son to become the next star? A few months ago, William Hill opened odds for Ronaldo’s seven-year-old son to become a professional football player. The odds are 100/1 that Cristiano Jr. will play a competitive match for either Manchester United or Real Madrid. Similar odds appeared for Ronaldo's twins, Eva and Mateo, but the bookies might have rushed too much to make this statement. A few days later, it turned out that the twins are not two boys, but rather a boy and a girl. We suppose that the chances for both twins to feature in one lineup are too feeble now. Even though we can't say anything about the twins, Cristiano Jr. already shows great success and it looks like he's going to surpass his dad within ten years at max. 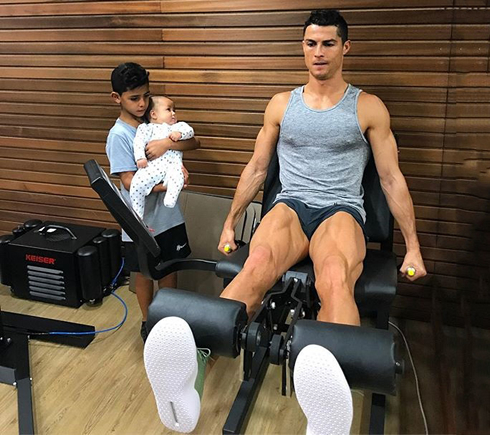 If you're thinking about making a bet - you better do it now, when Cristiano Jr's progress can't be easily predicted, and the odds are still fat. «He’s a very affectionate boy, attentive, friendly, respectful and very open with people. Everyone who meets him is surprised at how confident he is. That makes me feel very proud as a dad...», stated Cristiano Ronaldo recently. It looks like those qualities are not the only things his dad is proud of. 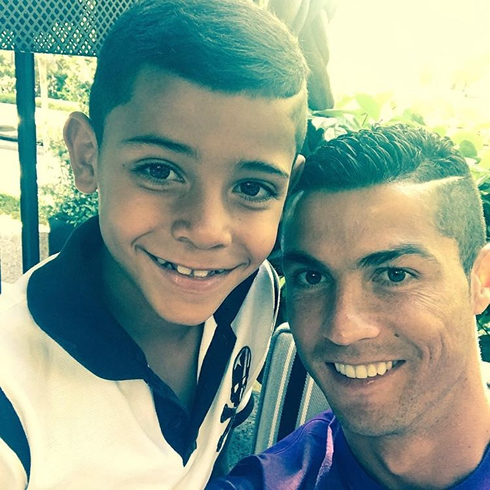 Ronaldo occasionally posts videos on social media with his son scoring stunning goals. While it is clear that Cristiano Jr already has skills, his professional career is not a sure thing at all. 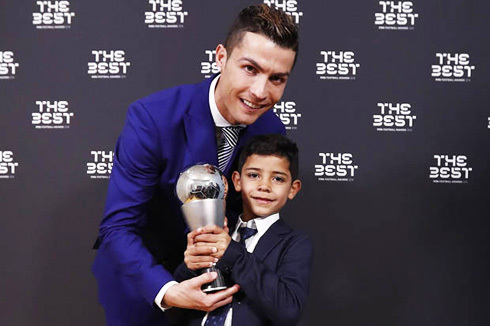 Being a good dad, Ronaldo said that he's not going to force the decision upon his son, as he has all opportunities of the world, ready to take. «He will be whatever he wants to be, I am not going to push him at all. But obviously I want Cristiano to be a player. A top one, like his dad." Cristiano Ronaldo next game for Real Madrid is on December 23 of 2017 against Barcelona. You can watch Juventus live stream, Real Madrid vs Barça, Everton vs Chelsea, Leicester City vs Manchester United, Arsenal vs Liverpool, and Manchester City vs AFC Bournemouth, all matches provided from our football streaming game pages.